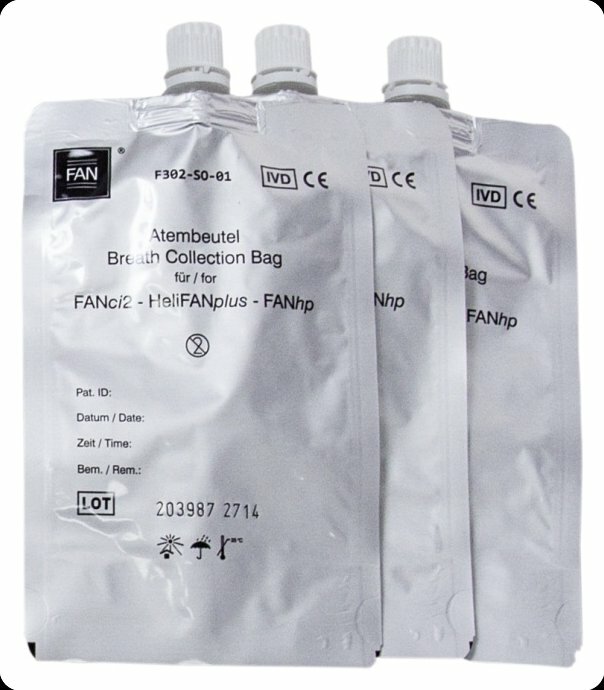 Reasonable and safe breath bags for sampling, fitting the 13C breath test analyzers. PP–straw mouthpieces (100 pieces) for sampling, usable with all breath bags. 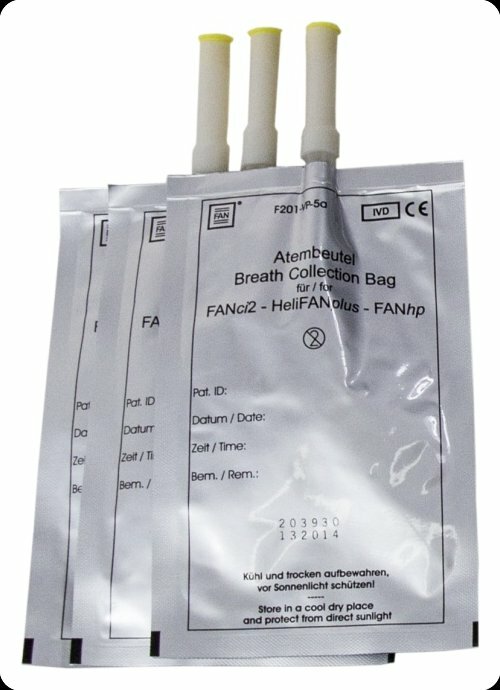 Breath bags for older 13C breath test devices. Mouthpiece for sampling with oversize hose connection bags. Additional Turntable for autosampler FANas. Useful to prepare samples for the next run while running analyses. Sample vial yellow cap for automatic sample feeder FANas. 100 pcs. per box; minimum purchase 500 pcs. Sample vial black cap for automatic sample feeder FANas. 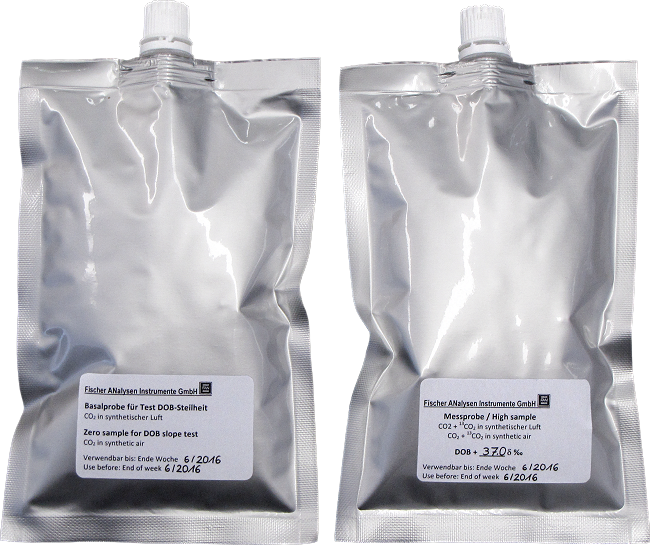 One pair of DOB test gases in bags for verification of the DOB measuring function of FAN 13C analyzers. One pair of DOB test gases in tubes for verification of the DOB measuring function of FAN 13C analyzers using the automatic sample feeder FANas. Document proof thermal printer paper for the FANhp. Feel free to consult us about getting substances labeled with stable isotopes and to ask for further application of our 13C analyzers. Breathing mask and adaptor with check valve for sampling with babies, disabled persons and for intensive care.